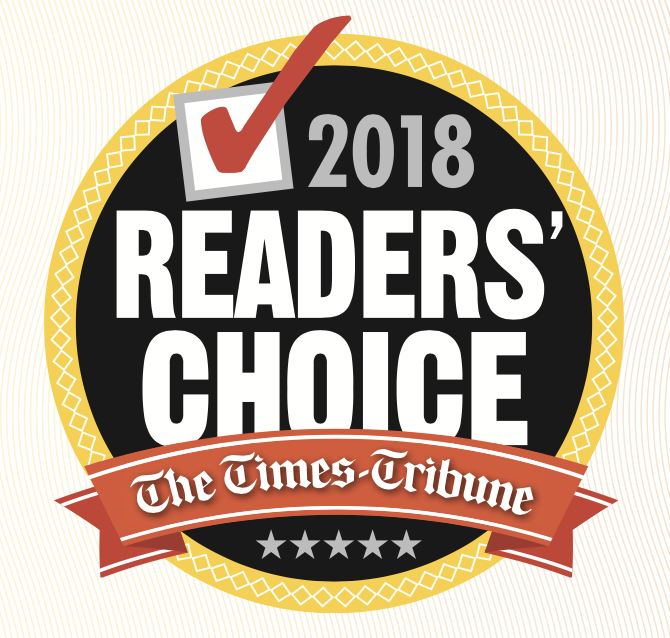 Winner of the 2018 Times-Tribune Readers' Choice award! No templates! The designers at eVISIONS do not use templates. Our experienced designers will bring your ideas to life. We will teach you how to use WordPress.You can update your website yourself, ask us for help or let us do it for you! Responsive websites with a minimum of resizing, panning, and scrolling across a wide range of devices. You’ve got a business to run. That’s why you need a web design team that understands your needs, your business and will work within your budget. We’ll bring our years of experience to the table to help guide your through the process. We will design your website and when it’s finished we will teach you how to use WordPress. Don’t have time update the website yourself? Send them to us! We will gladly do the updates for you! 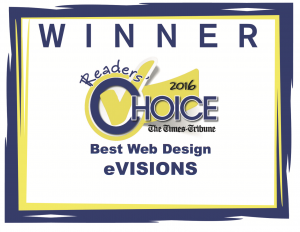 Proud winner of the 2016 & 2018 Readers Choice Award for Best Web Design by Scranton Times-Tribune readers. We don’t outsource our website hosting. For 15 years our experienced technical staff have been managing our dedicated servers. The eVISIONS technical support department is always there for you. We pride ourselves in customer service and support. We are always a phone call, a text or an email away from answering whatever questions you may have. Never worry about updating WordPress or Plugins! We keep your website running on the latest software with the latest security fixes and feature updates. eVISIONS will create your custom WordPress website with fully integrated, fully functional social media tools. Don’t have social media accounts yet? No problem! We can create them too! You can make edits and updates from any computer, no special software or coding skills are needed. In a rush? Don’t worry. The staff at eVISIONS can make the updates for you! Our designers and search engine marketing professionals will team together to create Search Engine Optimized (SEO) and Mobile Friendly website ensuring the search engines find and index your content quickly and accurately. E Visions is a great company to do business with. courteous, and professional. Gerry, and his team had Precision Diesel’s website designed in no time flat. I was kept informed throughout the entire process. The pricing structure was fantastic too!! I would recommend E visions to any business, or anyone looking to promote they’re business, or venue to call E visions, for your website based needs. Thanks to the team of e visions for doing a wonderful job for Precision Diesel Repairs advertising needs!! Excellent company! Very professional, always helpful, and work with you to create exactly what you want and are looking for. I would highly recommend. Great people. I use the for my 3 websites. Great company! Easy to work with always there to help! Great website design and helps you the whole way! 5 STARS! WITH SINCERE GRATITUDE: All of us at One Life To Live Rescue would like to thank “You Need Evisions”, from the bottom or our hearts, for the new website design AND for your donation of hosting our website for us and for all of the rescued doggies, of course!! You guys are great and the new website is awesome. We would love to sit down and meet you!